Perimeter Protection can be achieved in many different ways and comes in many different forms such as Security Fencing among other solutions. Domestic applications can be very different to those of the Commercial requirements albeit the end result is the same, to prevent the breach of an area or detection once an area is breached. Active Beams can be placed to create a perimeter protection around and area or building to be protected. This, when activated, can cause any type of reaction from a simple audible warning, activating CCTV cameras that can be remotely monitored or a simple audible alarm elsewhere to inform of a breach. Our experienced surveyors will design a system to suit the application, and work with you through every step of the process. Depending on the security fencing requirements these come in many different forms. High Security Safety Fencing with unobtrusive good looks, Economical yet effective perimeter protection, Sound and Vibration reduction fencing specifically for Sports Facilities, Tennis Courts, Attractive security fencing for High profile of environmentally sensitive projects. Palisade fencing is a traditional steel security fencing system which is largely being superseded by the welded steel mesh fencing such as R65 or Paladin types. However, Palisade continues to be popular in certain environments. 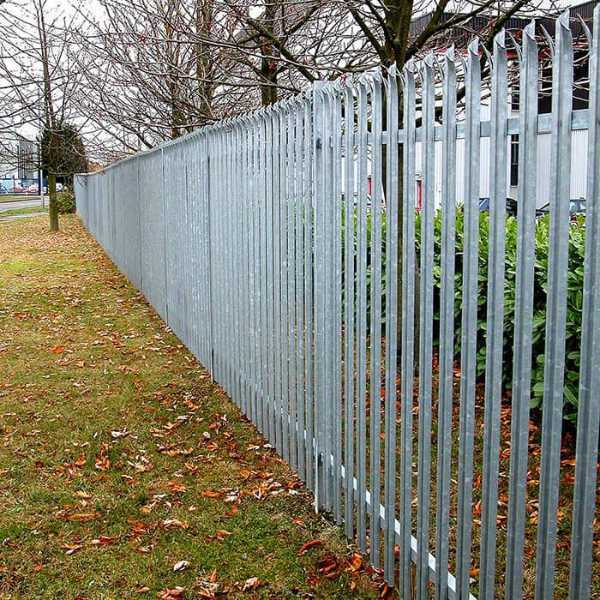 All of our security fencing types have a proven track record for the protection of domestic residencies, industrial estates, factories, garages, warehouses, storage compounds, logistics depots, car storage compounds, Educational Facilities, Military and Government premises and establishments. Not something that people think about generally but can be used instead of fencing or as well as. Once established this is an attractive alternative and will prevent intruders on foot and in vehicles! We can supply more information on request. We can supply and install, even landscape if required.